Years and years ago, Jon and I discovered guitar musician/composer George Cromarty. We bought his album, “Wind in the Heather”, I believe soon after we moved to Baltimore in 1983. I think we wore the grooves out on the record. Many years later, I realized I hadn’t heard any of his music since we’d switched to cassettes, and then CDs and MP3 players. So I went looking for more modern formats of his music. In a panic, I realized that somehow this amazing musician had dropped out of sight. All that was left to prove he’d ever existed was some references and my single copy of his album. Turns out Mr. Cromarty didn’t record much music, and some of it may not have been preserved. What was recorded was only available on vinyl. He died in 1992. But that’s changing. The internet being the fine Galactic Encyclopedia that it is, I’m now able to find his music on YouTube. It turns out many, many other people have been looking for him, too. And it looks like there are plans in the works to digitally record his music and make it accessible again. 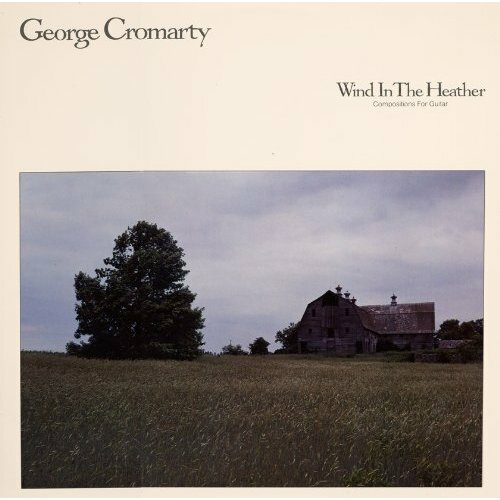 Until then, may I introduce–or reintroduce, if you’re already familiar with this delightful album of beautiful solo acoustical, instrumental guitar music–to George Cromarty’s Wind in the Heather. And to help support this effort, if you enjoy the album, please “like” the George Cromary Facebook page supporters have set up for him.